One bedroom cabins #5, #6, #8, and #9 . 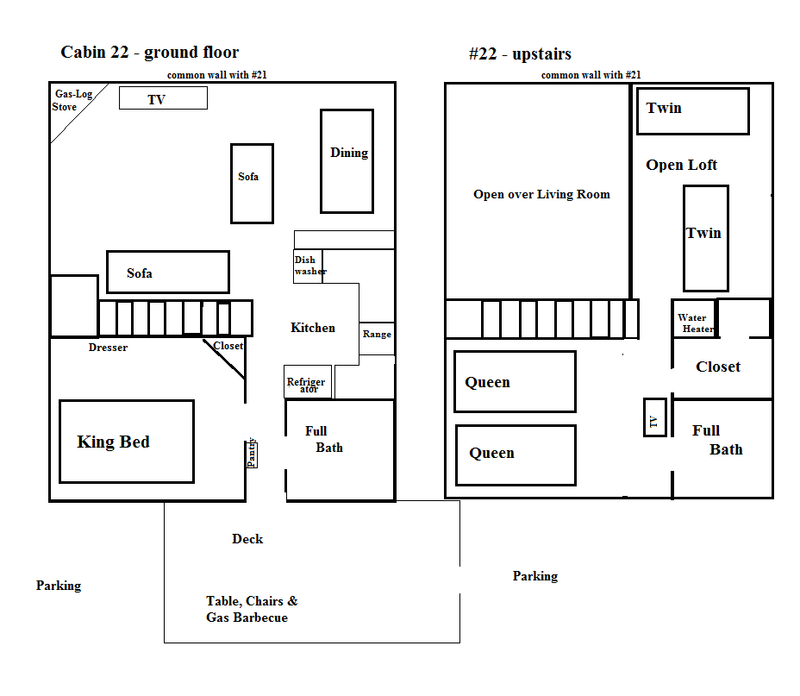 Small two bedroom cabins, #7, #4 (three beds) and #3 (king and queen). 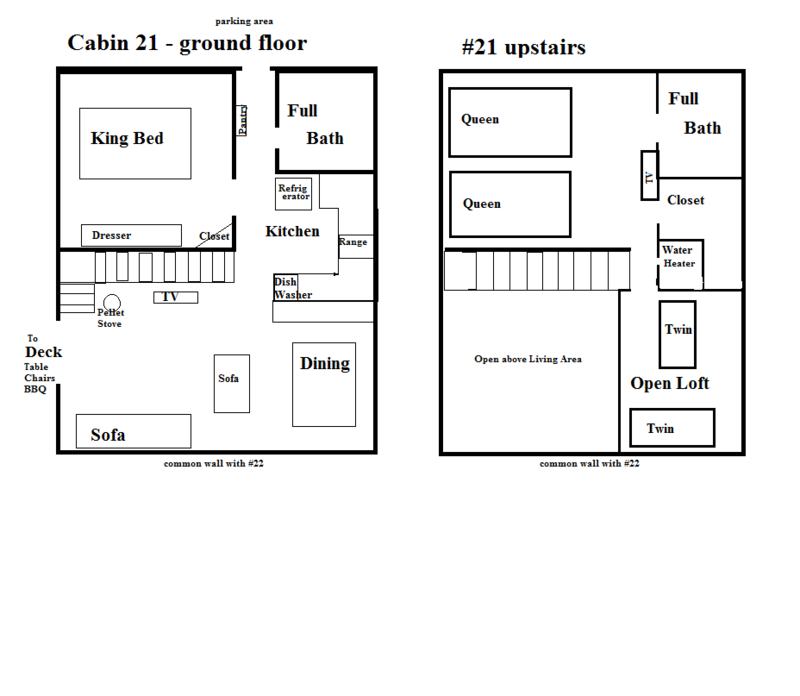 Large two bedroom cabins #1 and #2, ground floor (adjoining or separate) and upstairs.